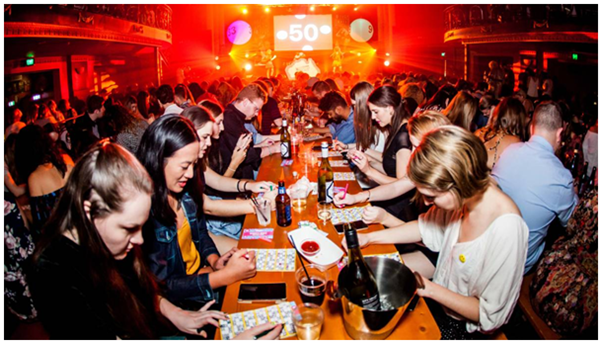 These days most of the bingo players are interested to play the Mexican version of Bingo. Even this version of Bingo game is found at Las Vegas Casinos to play and enjoy. Also known as Loteria this game originated in Europe and came to Mexico by way of Spain. If you ever get a chance to play this version of Bingo you will find that it is quite similar to American Bingo. Lotería is a game of chance, similar to bingo, but using images on a deck of cards instead of plain numbers on ping pong balls. Every image has a name and an assigned number, but the number is usually ignored. Each player has at least one tabla, a board with a randomly created 4 x 4 grid of pictures with their corresponding name and number. Players choose what tabla they want to play with, from a variety of previously created tablas. Each one presents a different selection of images. Lotería is the Spanish word for lottery. The deck is composed of a set of 54 different images, each one in a card. At the start of this Bingo version players will quickly realize, how much more visually and intellectually engaging and fun it is to play Lotería than the American Bingo game. In American Bingo, an announcer calls out the selected letters and numbers, such as “B-4” and the players mark their game boards accordingly. In Lotería, the announcer gives an improvised short poem or familiar phrase alluding to the image on the card (e.g. “the coat for the poor” for the image of the sun, or “the one who dies by the mouth” for the image of the fish). Each player uses a chip -often a kernel of corn or a bean-to mark the corresponding spot on his or her tabla. 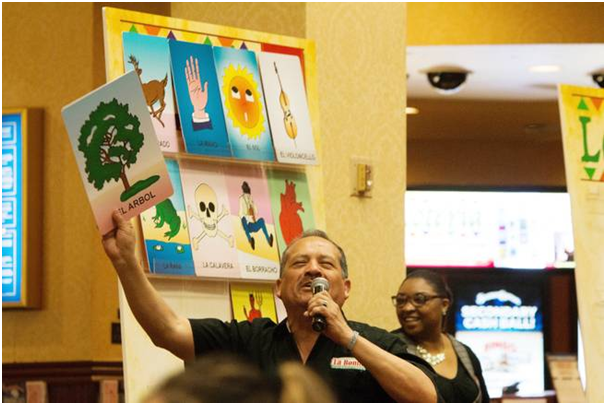 In either game, the first player to appropriately fill the game board or tabla in a predefined pattern will shout either “Bingo!”or “Lotería!” to win the game and receive the prize. Since poetic license is afforded to the announcer of Lotería, the success and popularity of the announcer depend on his cleverness and style. The announcer’s approach will often depend on the social context in which the game is being played. At a church bazaar, for example, he might use a more tame humor, while for a game played in an adult setting he might use innuendos that are more risqué and derisive. Satire and references to contemporary events and politics are often a part of the word play involved; in fact, the linking of images to social commentary has existed since the inception of the game. One of the more interesting historical versions was an educational, liturgical Lotería that appeared in the 1930’s. The images employed were objects and concepts found with the Catholic Church. This combination of the irreverence and banality of the game coupled with the solemnity of sacred symbols had some Catholics concerned. While the marriage of church and gambling in the form of Bingo is common in the United States, the initial intent of the church-sanctioned liturgical Lotería was more educational –to allow the parishioners to differentiate between a tunicle and a maniple, for example. The most recognized version of lotería is the “Don Clemente Gallo” rendition introduced in Mexico in 1887 by the French businessman, Don Clemente Jacques. He purchased a manufacturing plant in Mexico to produce many items including packaged food products, corks for bottles, and ammunition. In their printing press section they produced labels for the packaged food, invitations, party favors, and the game Lotería. The owners today of Don Clemente Gallo Pasatiempos, have continued this version through three generations. Throughout the past hundred years, the original artwork found on its 54 cards, has remained the same. 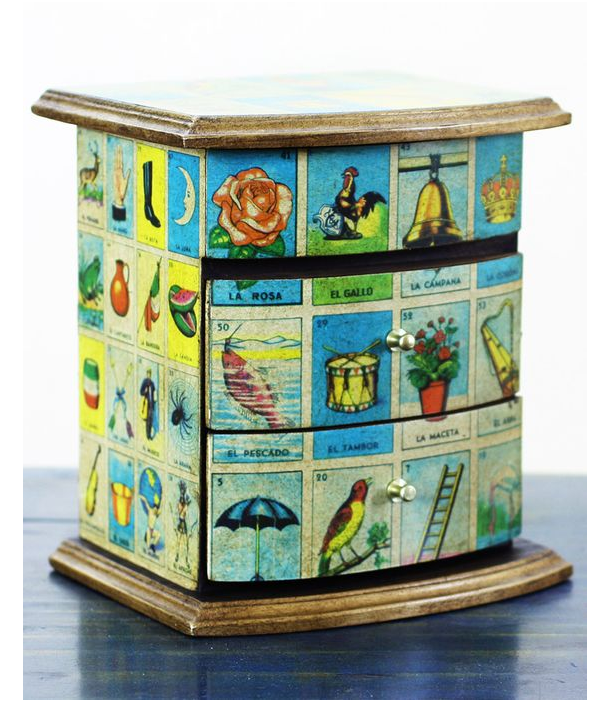 Lotería has been played as a game of chance, as a pastime, and for educational purposes. Don Clemente Gallo Pasatiempos own the registered trademark of the original images, including the most famous and better known images that have existed. As Mexican culture spread across the border, so did the demand for the game within the United States. The original Don Clemente Gallo Lotería game can be purchased today not only in Mexico but also in many countries. 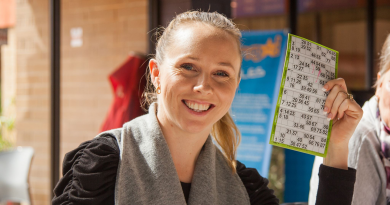 Many Bingo clubs offer Mexican Bingo in Australia. Lately it was organised at The Universal Eatery Mutton Falls Road Tarana NSW. Also you can buy the Bingo game from ebay if interested to play among friends at home. 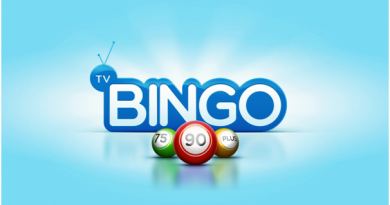 Just look out for Bingo club and find out where you can play Mexican bingo in Australia.